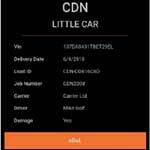 Car Delivery Network Inc. (CDN) a leading provider of innovative cloud based applications for the outbound automotive supply chain is pleased to announce the release of vinYARD, the first “in the cloud” Yard application for the paperless gate release of vehicles. This release comes after a successful pilot with FCA, Union Pacific, Sierra Mountain Express and Alliance Inspection Management at the Council Bluffs railhead in Ohama, Nebraska. The vinYARD service replaces paperwork at the railyard making the road carrier distribution from Railhead to Dealership 100% electronic and in real-time. 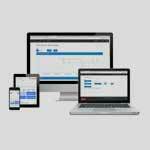 The cloud connected service includes eGATE functionality which replaces the BoL and paper loadsheet at the security gate when a loaded truck is exiting, simplifying and speeding up gate exits and increasing inventory and damage accuracy. 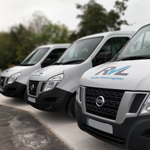 Enhancements to the vinDELIVER application also provides the ability for on-site inspection company to verify and sign-off damage electronically before the vehicle is moved. 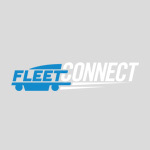 Core to the vinYARD service is a single data connection interface for Truck Carriers and Rail Operators to pass real-time VIN data from their systems to facilitate the eGATE out process. This interface removes the need for rail operators to support the many hundreds of carriers and thousands of drivers moving freight from their facilities. The same interface can be used to inbound vehicles. (eGATE in) vinYARD also removes the need for carriers and subhaulers to connect to multiple rail operators at different yards by utilising the vinYARD API. With one connection a carrier can add eGATE functionality to their existing ePoD application. CDN’s vinDELIVER ePOD app already incorporates the eGate functionality making many small and large carriers 100% compliant today.